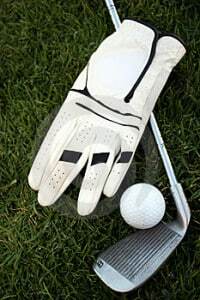 The fifth annual “Willie Tate Classic” Golf Tournament is Saturday, June 20, at DeGray Lake Golf Course in Bismarck, AR. Courtyard Gardens Health and Rehab will host the four-person scramble which will honor Arkadelphia’s hometown hero, Coach Willie Tate. All proceeds will go to the Alzheimer’s Association for research funding. Willie Tate was a star football player. He played baseball with a semi-pro team, and coached football, track and golf. Former students refer to him as a mentor, a friend, and a legend. He coached PGA golfers and NFL players, and educated and mentored local youth. Each year the Willie Tate Classic raises awareness to the devastating effects Alzheimer’s Disease and dementia had on Coach Tate and so many more. The tournament will begin with a shotgun start at 9a.m. Cost is $260 per team or $65 per person for those who want to play but need a team. Entry fee includes 18 holes of golf with cart, lunch, door prizes and all you can hit range balls. Other chances to win will be offered with Closest to the Pin and Longest Drive. An individual putting contest is scheduled and mulligans will be sold! To enter the tournament, contact Robin LeGuin or Sandra Edwards at Courtyard Gardens: 870-246-5566. DeGray Lake Golf Course is a challenging 18-hole course stretching over 7100 yards. This championship course is one of the most popular in Arkansas. Be sure to stay with us when you play in the Willie Tate Classic on June 20, 2015!